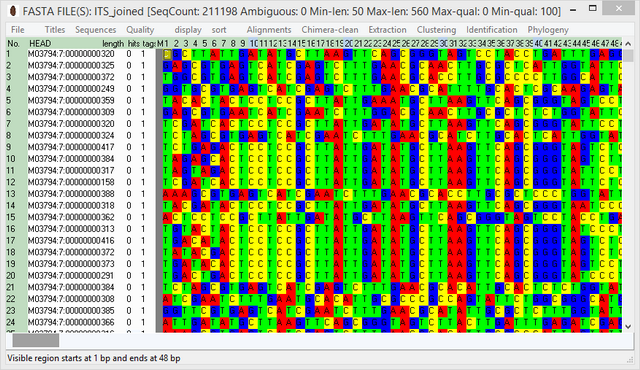 SEED2 is a free to use GUI-based sequence editor and pipeline for fast bioinformatic analysis of PCR amplicons such as the bacterial 16S or fungal ITS. It is suitable for all Windows platforms with 64-bit architecture. SEED2 was created to provide an intuitive interface on desktop computers that supports all steps of amplicon data analysis workflow. SEED2 is fully optimized for Illumina data and has the capacity to process whole Illumina MiSeq run on a standard personal computer with 16 GB RAM.